A video named"World's math hottest teacher Oksana Neveselaya from Belarus" shows a beautiful girl was writing on the blackboard hits 195k views on Youtube. However, Oksana actually isn't a teacher but a famous Instagrammer. 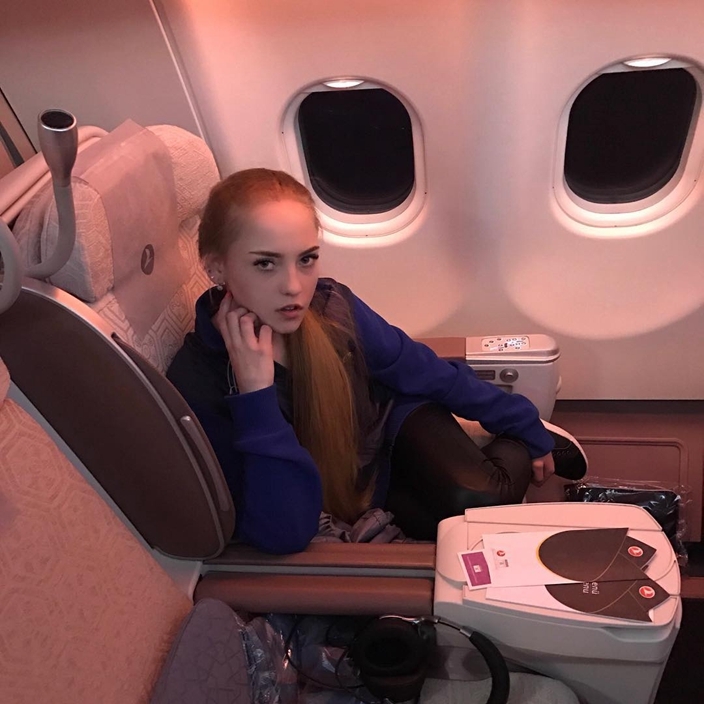 Born in 1999, now 19, Oksana Neveselaya has 738k followers on Instagram. The 19-year-old teenage is living a life traveling around and having much delicious food. However, she still keeps a nice body and smooth skin, which are very enviable for many people.